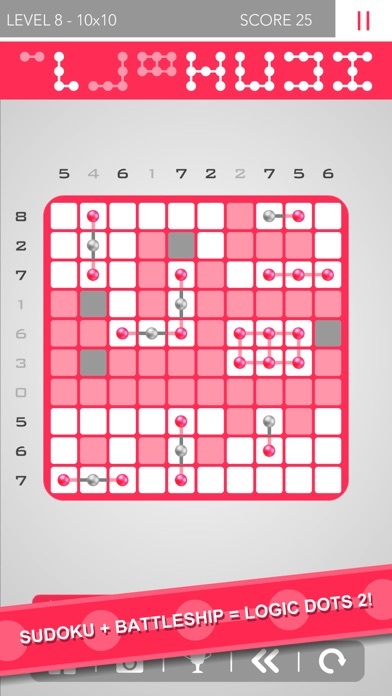 PuzzleNum comes from Lingyu Zhong. 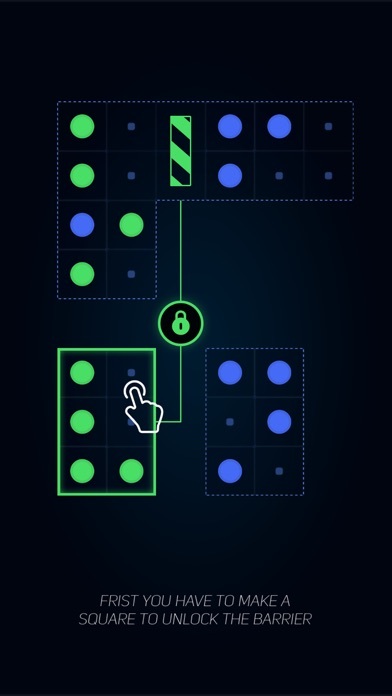 It's a math maze game. All the instructions are in Chinese, but it's easy to figure out. The blue dot is Your Man. The goal is to get Your Man to the star. Passing over a red square subtracts that number and Your Man must be at least 1 to get to the goal. 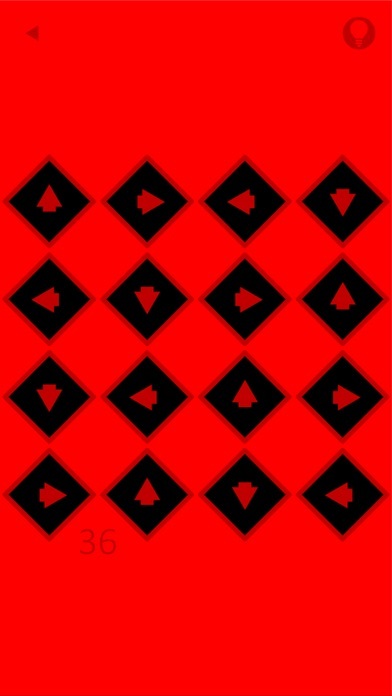 White Squares with a red boarder: passing over this square will reduce all the other red squares by that number. Orange Squares: these are =, <, or > with a specific number. There are 60 regular levels and at the moment I've done about 40 of them. There are 20 (I think) advanced levels and I've done just 2 of them. These puzzles are designed with great 'aha' moments. This game is a little gem. 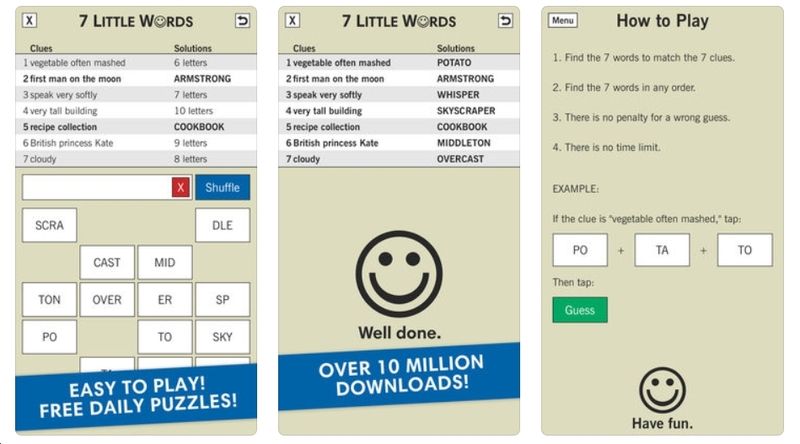 I reviewed 7 Little Words way back in 2011. For some reason it was listed as a new game. Oh well. There are 5000 puzzles! I've done about 50 of them. 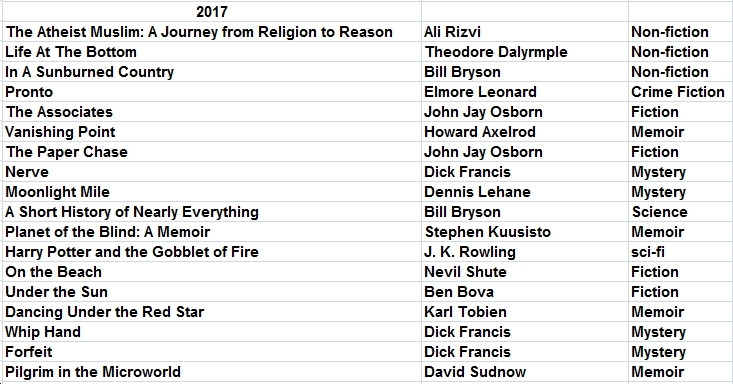 The first 20 were too easy. I've been struggling on the last 10. 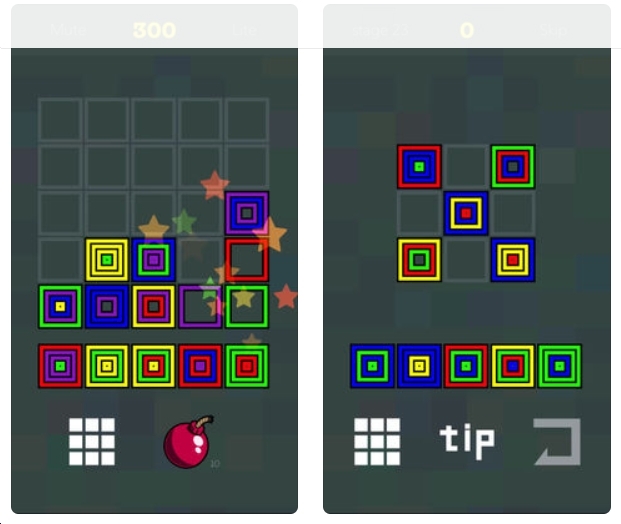 Pop Color Puzzle - Smash Block comes from Kui Tan. The object is to place the squares in the grid so that the outside edges match and then explode. The puzzle is solved when all the outer & inner rectangles are gone. Definitely an interesting game. I'm not sure if the scoring has a chain-reaction. There are 25 levels. 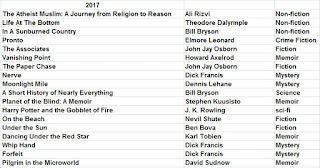 I've done about 14. They get complicated & clever. 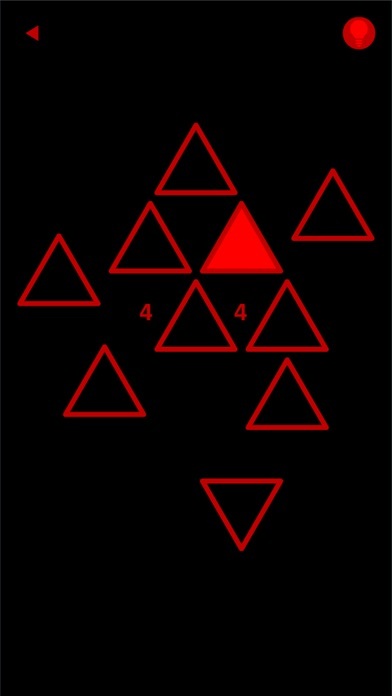 There's an infinite mode where the object is to get a high score. This mode is okay, however, it never ends. There should be a much smaller grid for this. 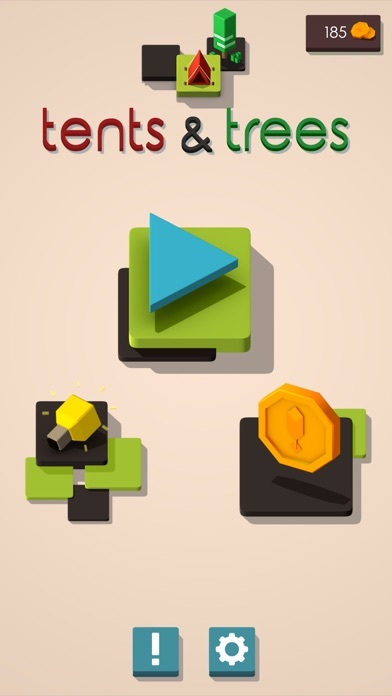 With 25 stages of blocks as well as various free modes, you will definitely enjoy a colorful game jouney playing with this puzzle game. It's logical, predictable, beautiful and also it's super fun. It's more than a crush game, you can predict the score you can get but you need to think more logically and deeply to reach a higher point. 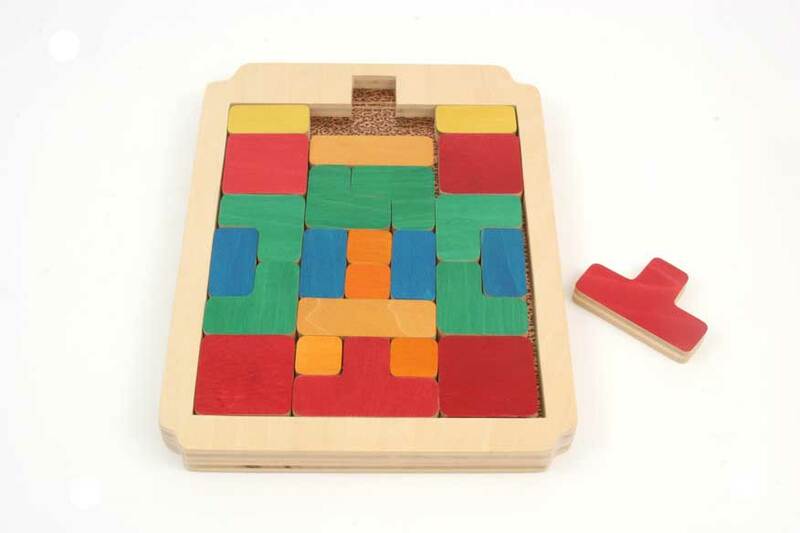 The Infinity mode gives you smooth flow to deliminate the blocks. While in the Master scene, you need stratagy, even complicated stratagies to organize a serial of blocks. Only because it's one shoot, you only have once chance to make it as perfect as you can. One more, one more block! You will always say this to yourself when you play this game. Sometimes you are so close to it and you just need a little help. Don't worry, call a Bomb to help if you stuck. The bomb has no magic, it just clears any blocks you choose and give you a chance to continue. 1. 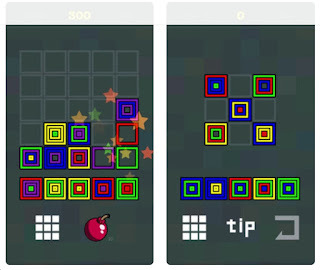 Place color blocks next to one another to match colors and make combos. 2. Once a color of the block is removed the next color layer is active setting off a chain reaction. 3. 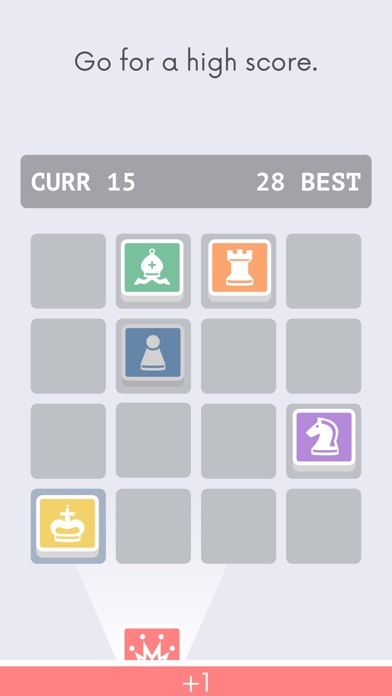 Place all the blocks correctly to eliminate all your pieces and get the highest score possible. 4. Use a tip or bomb smartly when you meet a stuck. *The more blocks cleared in one move, the higher bonus you will get! 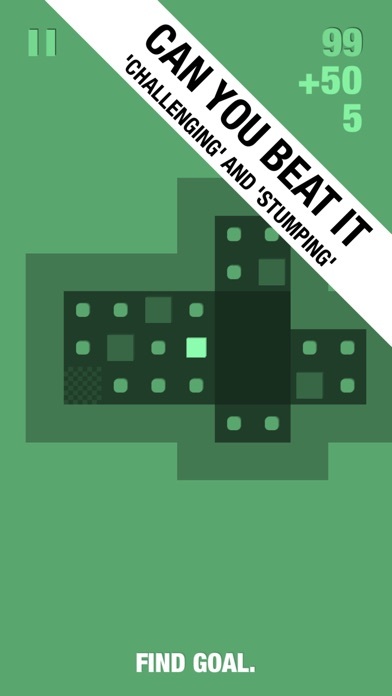 *Try to finish each puzzle with "Perfect", that means try to get the highest points as you can. *Don't forget to share a pictures to your friends when you make a break. Ask them to challenge you! Come on and play Pop Color Puzzle, burn you brain! 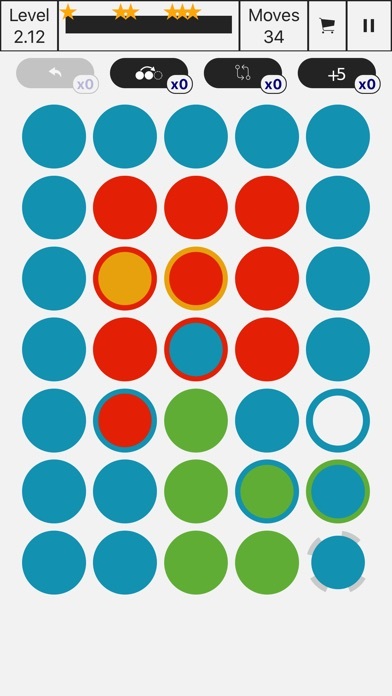 The App Store Officials deemed It's Full of Sparks as one of their 'New Games We Love.' 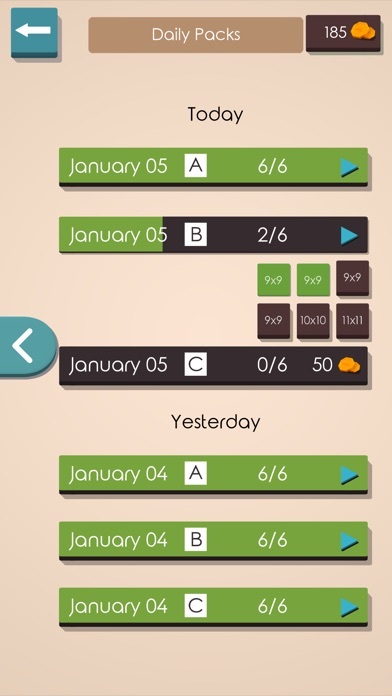 It's an action/timing puzzle app game. It's extremely popular and clever. The object is to get Your Man, the firecracker, to dive into the swimming pool before the lit fuse explodes. In the beginning, Your Man discovers a pair of red sunglasses. When he puts them on, he can see & cross red bridges and interact with other red objects. This is a lot like Monument Valley. But there's a time limit which I don't like. 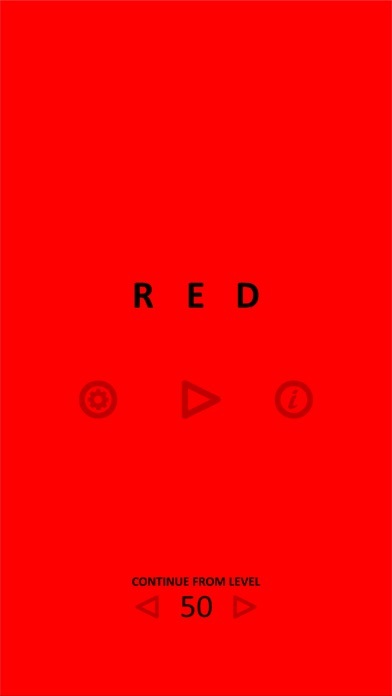 red (game) is Bart Bonte's latest puzzle app. All of his games are fun. 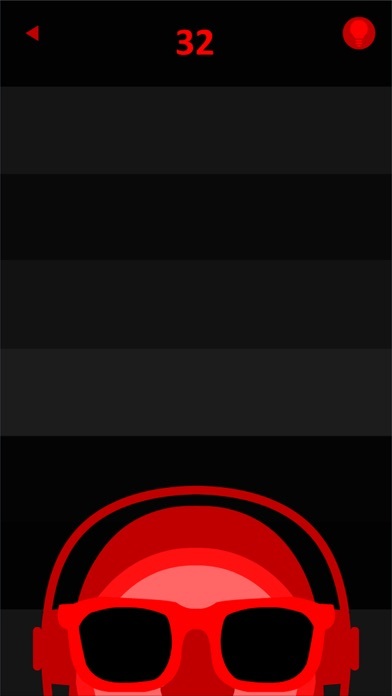 red (game) picks up where Yellow (game) left off. See link below. Each screen offers a different puzzle. 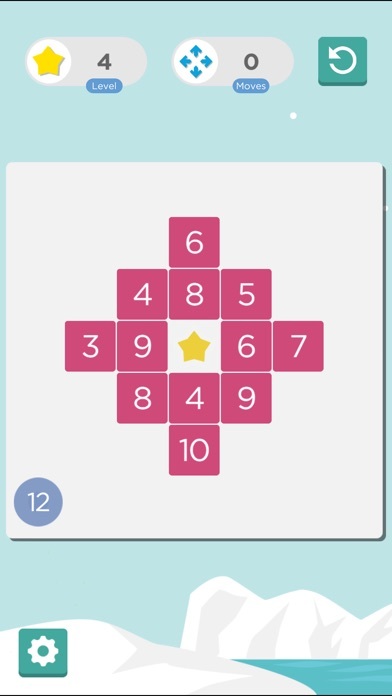 There are 50 levels and a hint for each - but you have to watch an ad. 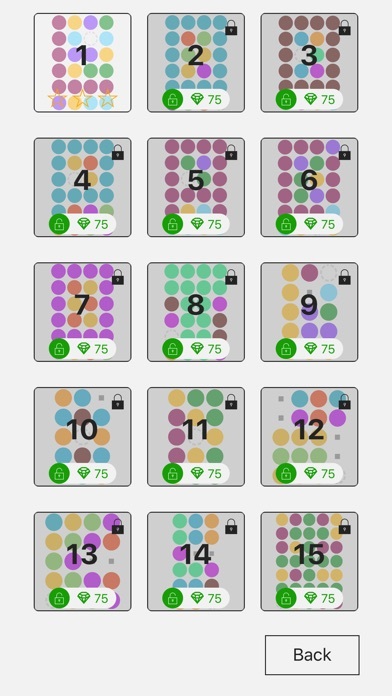 I solved all the levels over 2 days. I used about 4 hints. Chessumo comes from Murray LLC. 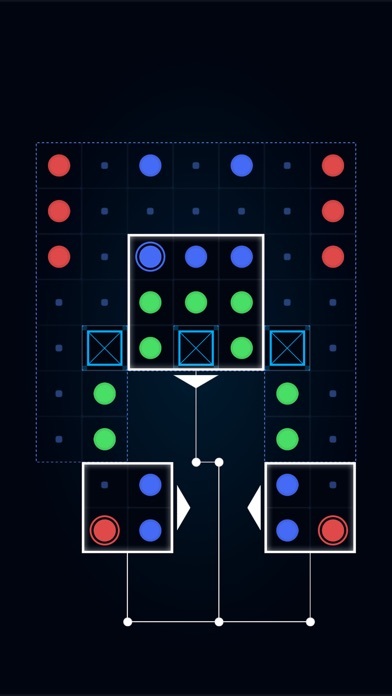 It's a point scoring puzzle game. All pieces can attack any other piece. 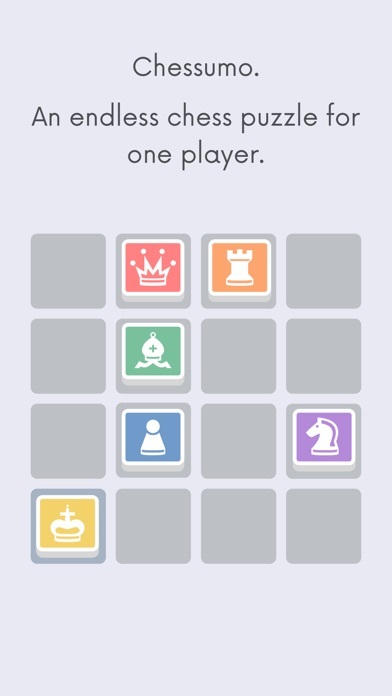 Points are scored by pushing pieces off the board, just like in sumo wrestling. Pushing 1 piece gains 1 point. Pushing 2 pieces gains 5 points. 3 pieces nets 14 points. 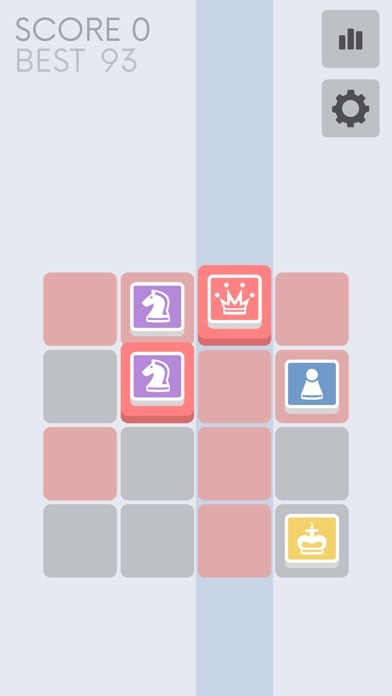 After your piece makes a move, it is dead and can no longer move. 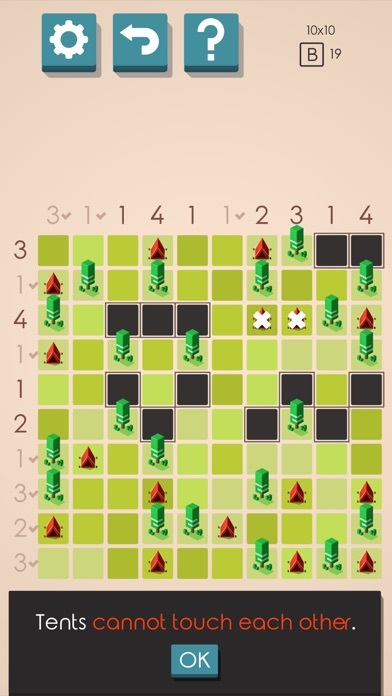 Unless, another piece pushes it within the grid, but not off the board. It took me more time than I care to admit, that I figured these rules out. At first, I did not like this game. Then I saw a monster score on the Leaderboard and tinkered more. Chessumo definitely has an element of luck. Bad luck often comes when pawns and bishops appear. However, this is a very solid game. At the moment, my high score is over 500. 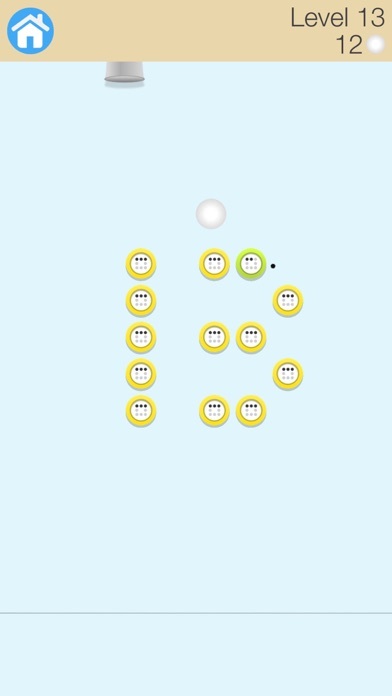 13 Balls comes from Bimza LLC. 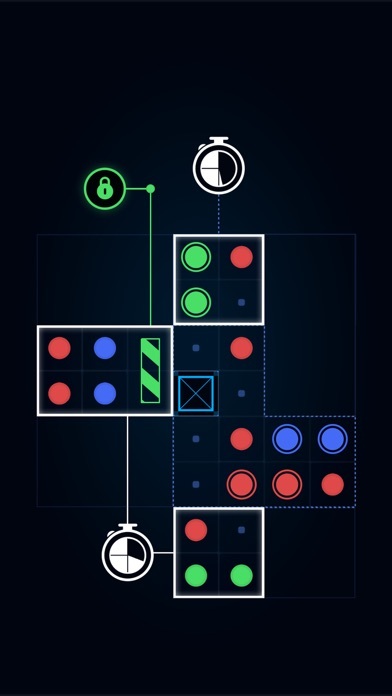 It's a dexterity puzzle app game. The object is to drop balls from the top and watch them bounce around the bumpers. Kind of like Pachinko. The number of dots in each bumper indicate how many times it must be tapped. This game is hard! But it's also surprisingly fun. I got to level 10 and gave up before the addiction set in. Tomorrow's game is a winner. 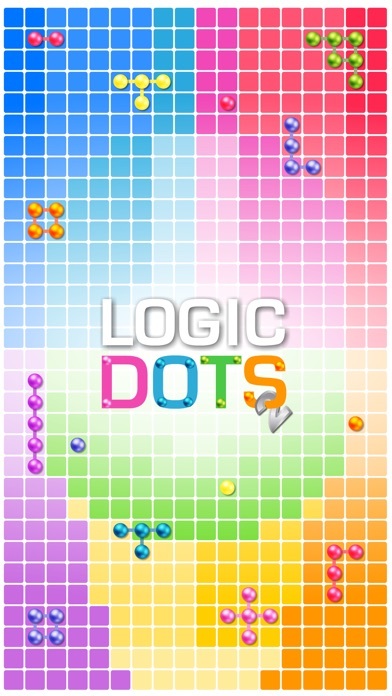 Logic Dots 2 comes from Ayopa Games LLC. 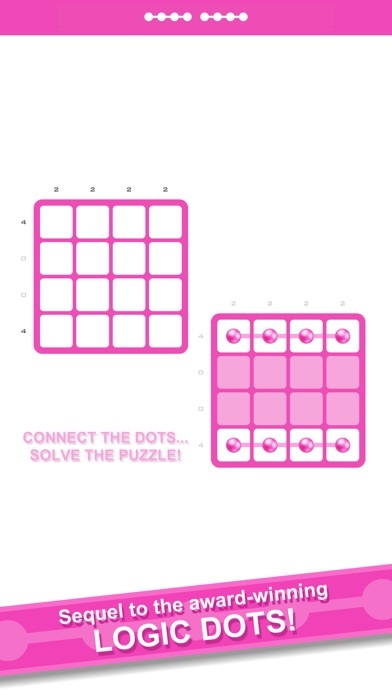 The object is to place the dots in the grid to satisfy the number of dots specified for each row & column. 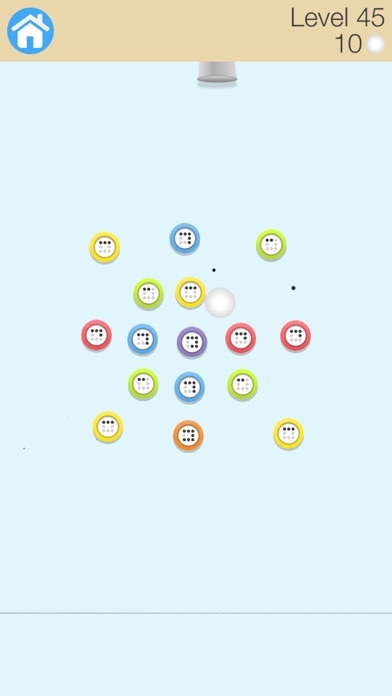 At the same time, the dots must form clusters that match the ones at the top of the screen. See image #2 for an example. 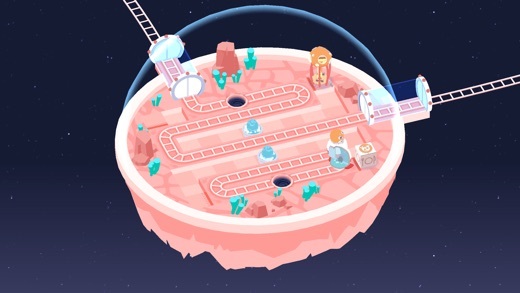 The App Store Gods highlighted this in their New Games We Love. I do not love this game. Nevertheless, I've done over 100 levels. They're fast. But I must move on to something more worthy. PixelMaze comes from Juhapekka Piiroinen. 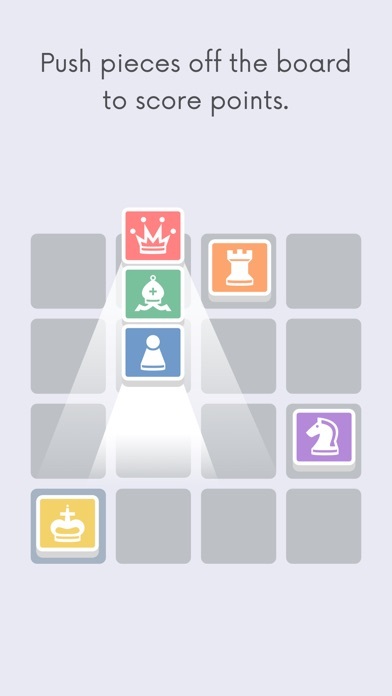 The object is to collect all the gems and get to the final checkerboard. 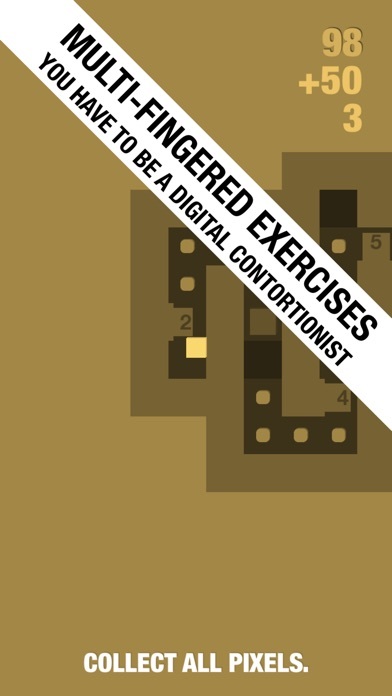 It's a maze, but it's also a bit of a dexterity/time puzzle game. There's a sokoban element in some levels. Level 14 had me stumped. I emailed JP for a hint. (Then I realized that I hadn't read the full description on the App Store!) Subsequent to JP getting back to me, I realized there was a genuine problem. He fixed it and the App Store people approved it within 48 hours. There are 37 levels altogether. I definitely like that. I've done about 19 levels. There's an infinity mode where most of the grid is hidden. As Your Man travels, the immediate are lights up. This element was programmed very well. Overall, this is fun. All puzzlers are welcome. If this is your first time to attend NYPP, send me a note. My brother ate my pudding - escape room comes from hap Inc. It's not really a room escape, but sort of. There are 20 levels and they go pretty fast. I needed about 25 minutes to do it all. And I did use a hint. The graphics are not great, but that's okay. Some of the solutions are funny. 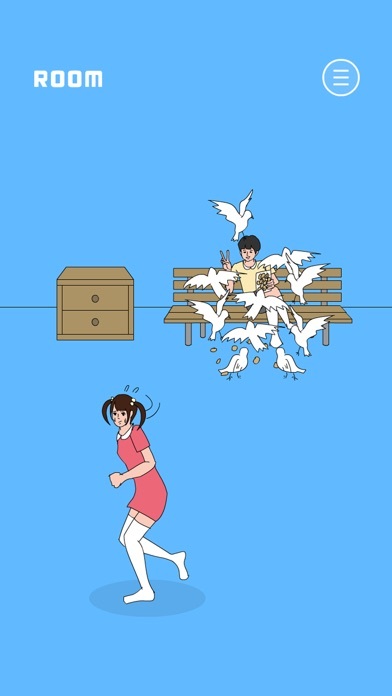 Definitely play this game for the last level! Tents and Trees Puzzles comes from Frozax Games. It's an old concept from at least 1989. It first appeared in a Dutch puzzle magazine called Breinbrekers. Leon Balmaekers was the inventor. 1. Every tree must have a tent next to horizontally/vertically. 2. No two tents can be next to each other horizontally/vertically/diagonally. 3. The numbers at the top and on the side indicate the # of tents. These puzzles are kind of easy. But they're fun! I've done about 120 levels. I would have done more, except I have to earn extra coins by either watching ads or waiting 6 hours! Of course there's an option to buy coins. I've seen the same 5 second ad for 'slider fries' about 40 times now. Frozax made the Thermometers game from 2 years ago and Mirrors & Reflections from 5 years ago. Loopadot comes from Ralf Schubert and Joy King. 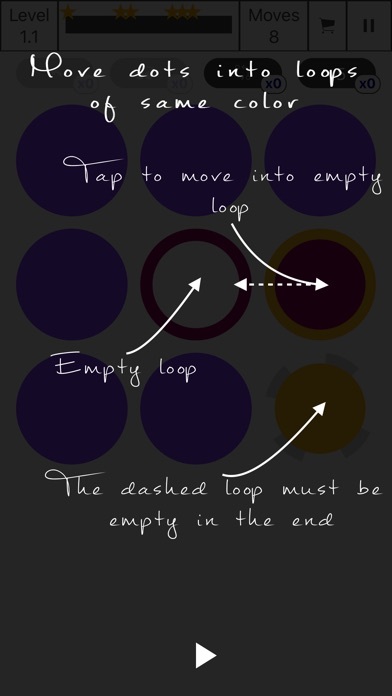 The object is to slide the circles, one at a time, to get them to their correct spots. 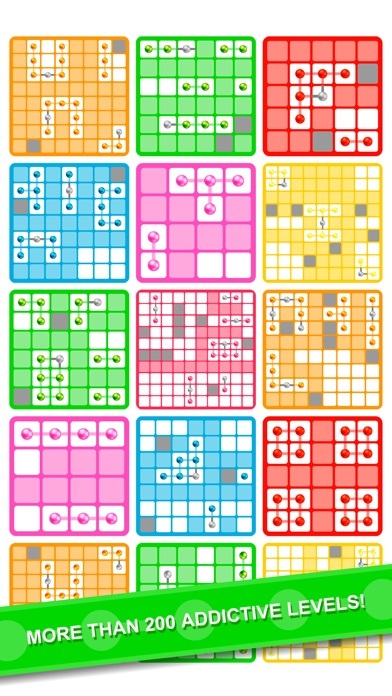 Each level can be solved within a certain number of moves. Powerups are an option, but not necessary. 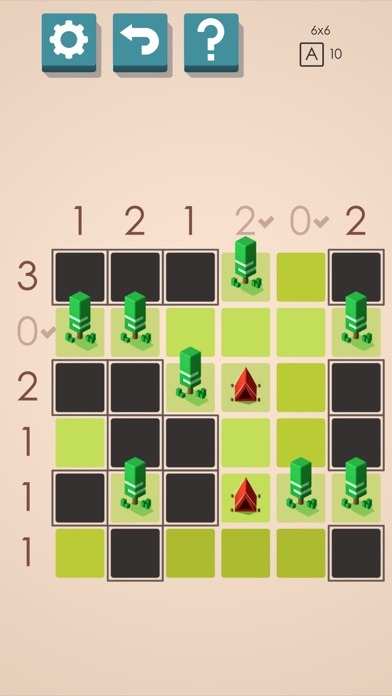 Essentially, it's the old 15 sliding tile puzzle, but with duplicate tiles. There are 93 levels. I've solved about 30 levels. This is Ralf's & Joy's first game. I'm looking forward to their other games. 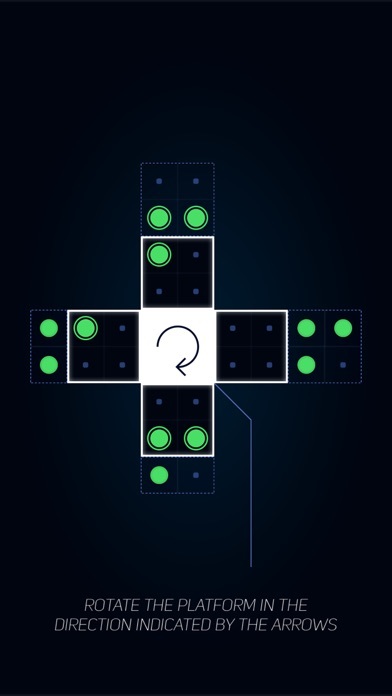 Quaddro 2 - Minimalist Puzzle comes from Hugo Pereira. 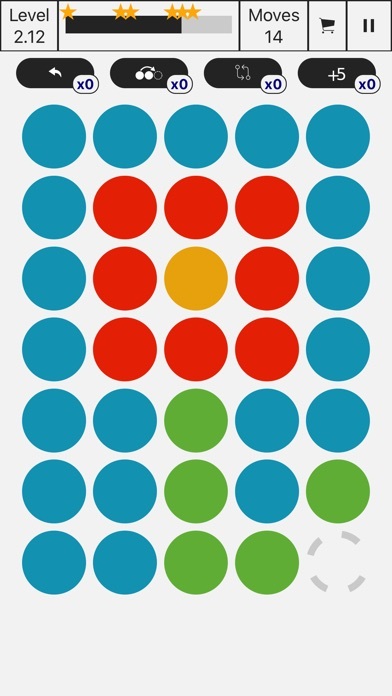 The object is to slide the dots around to make squares - either 2x2 or 3x3 to remove all the dots. 1. Some dots are fixed in place. 2. The big white squares can rotate and shift. There are 80 puzzles, grouped into 8 categories. The first category is symbolized with a baby bottle. Love that. I solved all 80 puzzles. The last 10 were kind of tricky, but not ultra hard. The graphics are perfect. 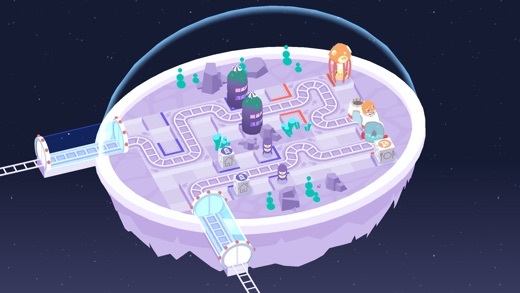 Cosmic Express comes from Draknek Limited. They came out with A Good Snowman is Hard to Build from about 2 years ago. That was a great game. The object of this game is to find a route that will pick up the orange & purple people and deposit them in their boxes. If you played RGB Express from 2.5 years ago, you'll get the idea. Cosmic Express definitely borrows the concept or RGB, but that's okay. In many ways, this game is has some good innovations like wormholes. 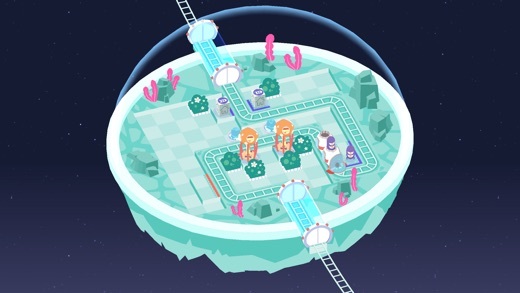 Most importantly, Cosmic Express is tough! But with enough fiddling, they're all reasonably doable. There are approximately 120 levels. I've done about 40. $4.99 is reasonable, considering it's led to about 4 hours of fun, so far.